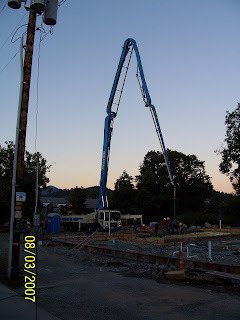 2008 | Batzer Construction Inc.
We were very pleased to build the Cartwright Valley Meat facility in Grants Pass. What a fantastic family business! Even though modest in size, this is one of those projects that really brings home the importance of small and family operated businesses in a community. Over the course of construction Michele Cartwright documented the progress in their company blog. You can read the whole thing, or here are some links to some of our favorite posts. April 24, 2007 -New Construction! As one of our primary local partners on these five projects, Batzer Construction helped us transform that hope into reality. I am pleased to recommend Batzer Construction to you for your consideration. Please call me if you have any additional questions or need additional information about our success with Batzer Construction.